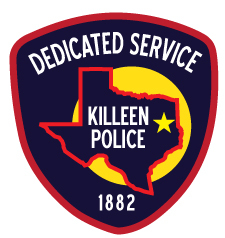 This summer, Killeen Police Officers will be dispensing well-deserved Slurpee® justice “tickets” to good kids in Killeen. For the 23rd year, 7-Eleven® is working with local police to distribute free Slurpee® drink coupons to children and youth through its popular Operation Chill® community-service program. During 2018, up to 1.4 million Slurpee coupons will be issued to almost 1,100 law enforcement agencies; more than 1,100 of those will be distributed in Killeen, most during the summer months and back-to-school season. Officers will be looking for kids who might be helping another person, deterring crime or participating in a positive activity in the community. Although the reasons for being “ticketed” are varied, the end result is the same for every youngster: a free Slurpee drink and a smiling kid. Each coupon can be redeemed for a small Slurpee drink at participating 7-Eleven stores.